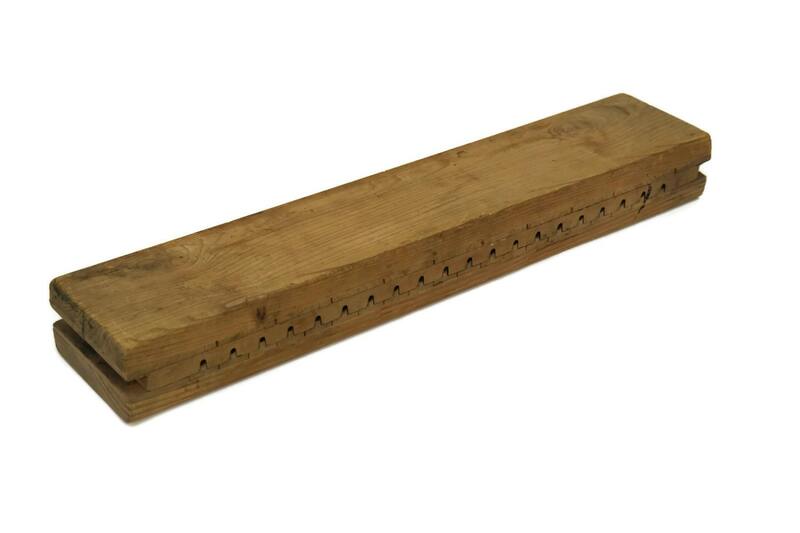 This antique German cigar press is full of character with an authentic aged appearance. 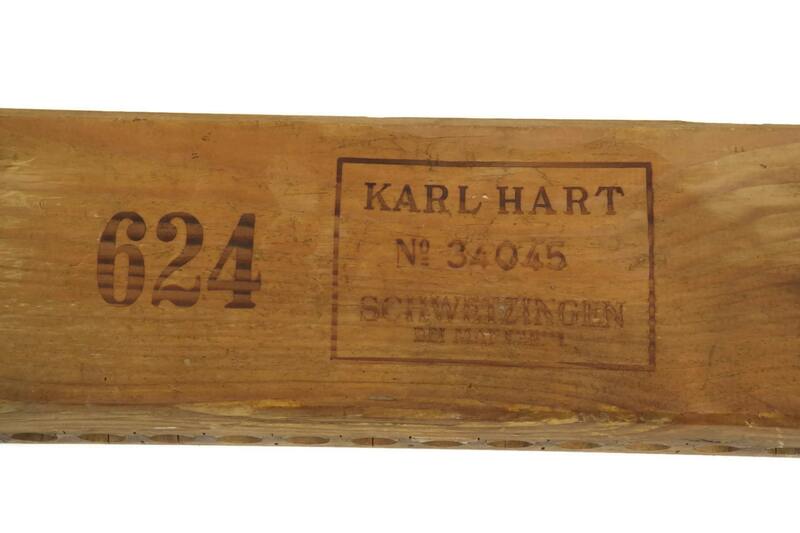 The cigar makers tool was manufactured in Germany and has been stamped with the cigar brand on the lid, Karl Hart. 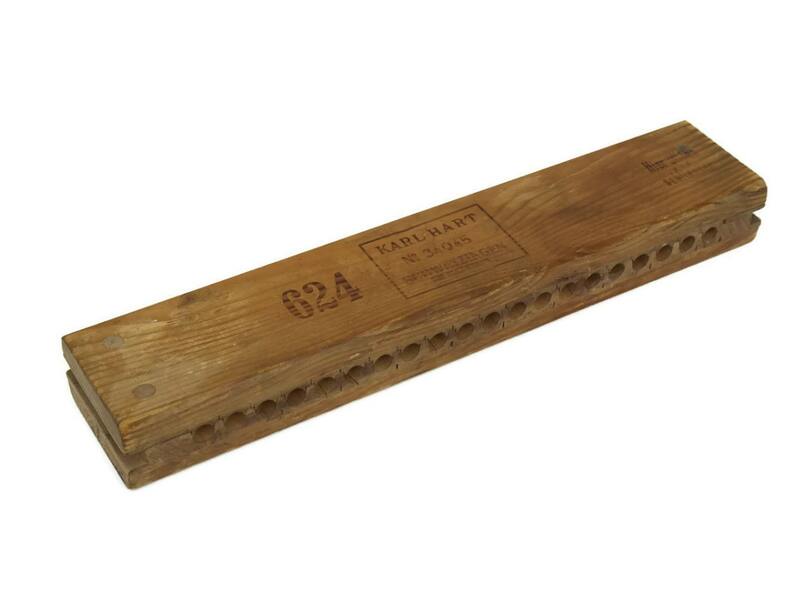 The wooden cigar box has space to hold 20 cigars. It is relatively heavy and has been finely crafted. 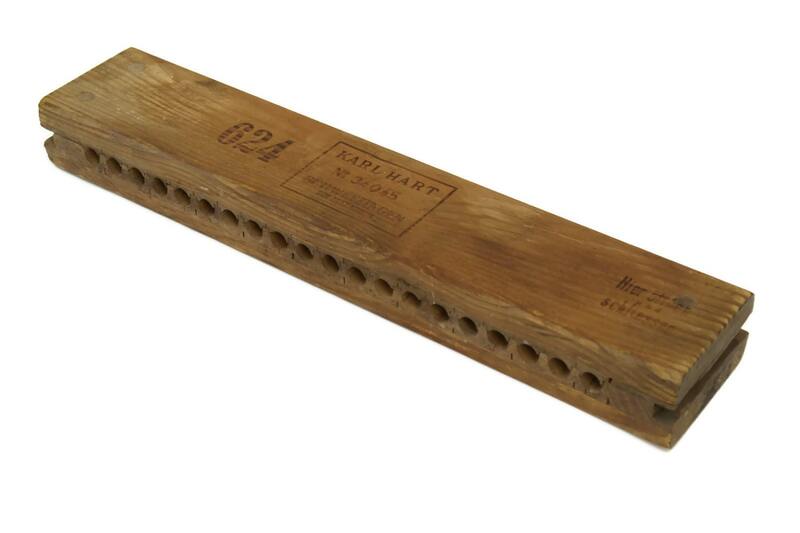 It would add a great rustic addition to your home decor or an original gift for a cigar lover. 22" L x 4" W x 2.5" H (56 cm x 10 cm x 6 cm). 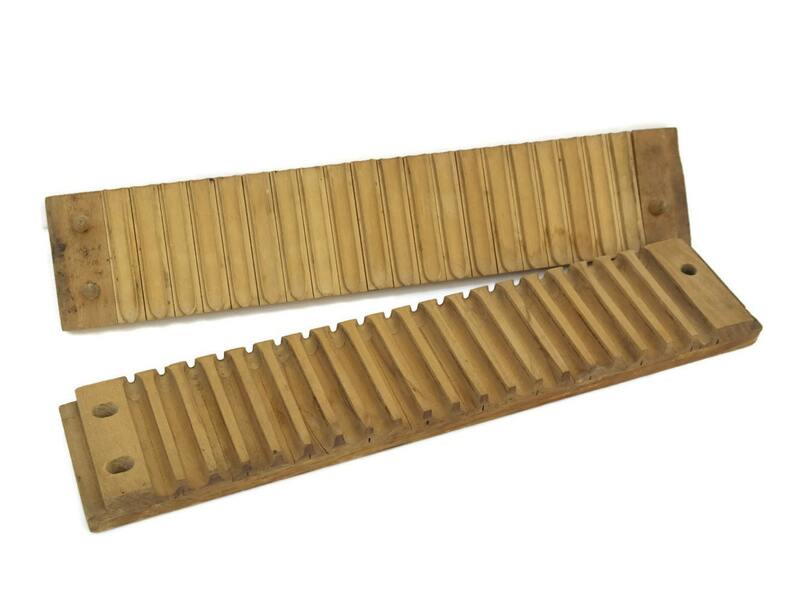 The cigar mold is in good antique condition with general wear including patina and surface scratches to the wood.